IMELDA Marcos turned 86 on July 2, remaining highly visible and influential in the country’s political scene, but the men and women who fought and survived the Marcos dictatorship and who sued his heirs for indemnification are still walking wounded, waiting endlessly and in vain for justice–like they’re waiting for Godot. A generation has passed since Imelda and her husband Ferdinand Marcos were dethroned, but for many if not most of the acknowledged 9,539 human rights victims, it never felt anywhere close to a reversal of fortune. Imelda, now a congresswoman of Ilocos Norte, her children, Ilocos Norte Governor Imee, and Sen. Ferdinand Jr. are back in power, as if they never left. Now in his third year at the Senate, Ferdinand Jr. has plans to run and take back Malacanang. 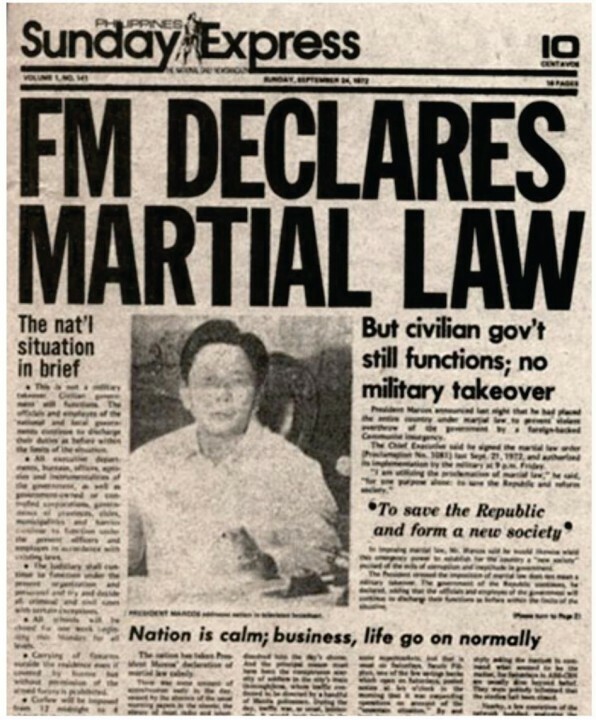 To date, the total claims of the martial law victims on the Marcos estate, according to American human rights lawyer Robert Swift, have ballooned to $4.3 billion based on the two favorable orders Judge Manuel Real of Hawaii issued in January 1995 and January 2011 as a result of penalties and interests earned from $1.964 billion and $353.6 million, respectively. In the January 2011 ruling alone, the court pegged the penalty at $100,000 per month. “There are more than $4 billion unsatisfied on the 1995 judgment and more than $350 million unsatisfied on the 2011 judgment,” Swift told ABS-CBN News in an email last June 19. By December 2014, the Presidential Commission on Good Government had remitted to the national treasury some P168 billion recovered from the Marcoses and cronies since the agency was created in February 1986. Part of the amount was the P70 billion in coco levy fund. The government claims it is the rightful party entitled to the Marcos estate, not the Marcos victims. It was ironic that the victims obtained the $2-billion judgment the hard way and with very little government help, if any–nine years of arduous and hard-fought litigation in Hawaii where they had to prove every element of the heinous abuses committed against them. Around 100 of the victims have died, receiving not even an apology either from Imelda or from her children for all the alleged human rights violations and the family’s questionable wealth amassed in his 20-year rule. Most of those who are still alive are now in the twilight of their years, like the former first lady. Around 100 others have been suffering geriatric ailments, ranging from diabetes to hypertension, and still nursing the wounds inflicted by the years of living dangerously. The victims and the Aquino administration are still in a tug-of-war for the Marcos estate, despite the favorable US rulings, with the government remaining the biggest stumbling block to enforce these. On June 29, Swift’s Philippine counterpart, lawyer Rod Domingo, asked a Makati court in a 20-page petition to enforce Real’s order by compelling the Marcos’s widow and children to indemnify the victims in their individual capacities. “This time, the suit is not just about the Marcos’s estate, but about the Marcoses–those who are still alive. We asked the court to compel them to indemnify the victims,” Domingo told ABS-CBN News in a phone interview. But the Philippine government wants to indemnify the victims instead under Philippine laws in place of complying with the Hawaii court verdict. But Aquino has less than 12 months left at the Palace, and the promised indemnification as provided for by the law creating the P10-billion indemnification package initiated by the slain senator’s lawyer, former Sen. Joker Arroyo, and another martial law victim, Bayan Muna Rep. Neri Colmenares, in 2013, is at a snail’s pace, hardly expected to come in Aquino’s time. The law was passed without the President certifying it urgent, contrary to his campaign promise. As against the original $2-billion judgment, Swift said the P10-billion compensation package is inadequate to give justice to the victims, except that the law made a public and symbolic acknowledgment of the atrocities during the despotic Marcos regime. Swift said he met with every post-Marcos Philippine president, except Aquino III, in connection with the cases he was litigating for the martial law victims. But no one showed as much interest in justice for the victims. He said he wanted to see President Aquino, but he didn’t reply to his letter. “There has been no change from the Arroyo administration to the Aquino administration in the (government’s) willingness to spend millions of dollars in trying to defeat the claims of the (victims),” he told one of the victims, noted New York-based journalist Ninotchka Rosca, in an interview. And the next president might not be any better. The 9,539 victims, or those whom they left behind, have relived their nightmare like being tortured all over again: first, in the Hawaii litigation beginning in 1986; and second, during a compulsory registration before a government commission if only to qualify as rightful beneficiaries of the P10-billion package last May, or two years after the law was signed. Along with the late Filipino broadcaster-lawyer Jose Mari Velez, Swift filed the class suit in Hawaii on behalf of the victims in 1986 to recover the Marcos’s wealth. Velez died in 1991. Other people who helped the victims–Romeo Capulong, Danilo Vizmanos, Romeo Luneta, Maita Gomez, Romeo Candazo, Chino Roces–have likewise died without seeing the dawn of their crusade. Capulong in 2012; Vizmanos in 2008; Luneta in 2012; Gomez in 2012; Candazo in 2013, and Roces in 1988. The victims have twice received only partial compensation in measly amounts that were sourced from a discovered hidden asset once held by Marcos crony Jose Campos and from the sale of a Claude Monet’s “Le Bassin aux Nympheas” painting, part of Monet’s ‘Water Lilies’ series, that Imelda’s loyal aide Vilma Bautista sold to a collector for $10 million in 2013 at a London Gallery. Monet was the founder of the French impressionist movement. When he first distributed proceeds in the sale of a Campos property in 2011, Swift gave away $1,000 each to 7,526 victims only. The rest of the 9,539 victims, who failed to respond to Swift’s call to organize, were “delisted,” went home empty handed, feeling betrayed and forsaken. “The case had somewhat become a horrifying specter of aging human rights victims being twice-over victimized,” said one of the victims, a member of the Samahan ng Ex-Detainees Laban sa Detensyon at Aresto, a non-government group that organized the original claimants in the Hawaii suit. According to its own chronology of events, Selda said there were anomalies in the delisting process, among them: 6 of the 1986 original named plaintiffs did not find their names in the list; a senator who was an ex-detainee but never filled up the form during the 1986-1989 documentation period was given a check; in almost all distribution centers, hundreds of claimants who received notices in 1993-94 and/or in 1999 were not in the list, but many more who did not receive any notices in 1993-94/1999 were given checks due to personal interventions by powerful claimants. In 2014, Swift again distributed $1,000, but only to 6,000 victims. The others again didn’t get any because they “failed to respond” to Swift’s call to register. Until the recovery of Monet’s “Le Bassin aux Nympheas,” Imelda’s 200-piece art collection was all unaccounted for. The art pieces allegedly “disappeared” or “stolen” from Imelda’s townhouse in New York at the height of four-day peaceful revolution in the Philippines in February 1986. Some of these had been stored in a townhouse located at No 13-15 East 6th Street in Manhattan, which used to house the Philippine Consulate and Mission to the United Nations, but Imelda converted it for her personal use, decorating it with some of the paintings. A few days before and after the fall of the Marcoses, Bautista was seen to have been loading the paintings into a huge van, said Swift, quoting sworn statements of witnesses. She was said to have subsequently disappeared into the night. Nobody knew anything about where Bautista, a former diplomat who served as Imelda’s aide during the Marcos regime, had allegedly kept the paintings until she and her two nephews were arrested in November 2013 in New York for the 2010 sale of Monet’s “Le Bassin” at a London Gallery. In December 2013, Swift asked the Supreme Court of New York to locate the rest of the 200 paintings, including three by Pablo Picasso and one by Vincent Van Gogh. “Vetheuil” was offered for sale, first for $20 million, then for $55 million, according to the charge sheet Swift lodged against the former diplomat. Bautista, now 75, has been actively fighting the criminal case against her, the American lawyer said. Swift said he wanted to recover all the paintings—-and the proceeds, if it is found that any of these had been sold–for the Marcos regime’s victims who won a $2-billion suit against the estate of the late strongman, but were offered only P10 billion by the Aquino administration. As against the $2-billion judgment, he said the P10-billion compensation package is inadequate to give justice to the victims. Not to be outdone, the PCGG put up a legal fight, asked the New York to forfeit the paintings in favor of the government, citing Philippine court rulings forfeiting the Marcos property in favor of the government. Last June 12, Swift asked the court to dismiss the government’s claims based on the New York’s Statute of Limitations, saying the government is the victims’ own rival to get compensation. He said the New York court should confiscate the paintings–or what is left of the items–and award it to the victims, not to the Aquino administration on grounds that it failed to support its claims that the government owns these. In the petition, he said the Philippines “is unable to assert facts to support its claim to the interpleaded property despite (a) the passage of four decades, (b) creation of a specialized government agency with 180 employees investigating Marcos assets and artwork for 29 years, (c) the assistance of foreign governments, nongovernmental organizations and police forces, (d) the issuance of subpoenas, and (e) lawsuits against Imelda and Bautista alleging misappropriation. While the Philippine government refuses to honor the Hawaii verdict, Swift said he found it anomalous that the government would ask another US court to honor the Philippine court rulings on the Marcos’s property. He expected the court to rule on his petition within 60 days. Last May, government officials gave commitment that they would try to indemnify all of the 9,539 victims out of the P10-billion package. As to when and how much, no one knows for sure. But no one really knows for sure how many people suffered during the dictatorship. Leaders believed that there were more than 9,539, as many have chosen to fade into the night, unwilling to recall their ordeal. The Marcos family’s ill-gotten wealth allegedly came primarily from diverted foreign economic aid, US government military aid, including huge discretionary funds at Marcos disposal as a “reward” for sending some Filipino troops to Vietnam, and kickbacks from public works contracts over a 20-year rule. Without it, one would easily remember what the great Santayana was trying to say when he asserted: “Those who fail to learn from history are doomed to repeat it”.